Home / News / David Hogg Compares Shootings To Shark Attacks. There’s Just One Problem. David Hogg Compares Shootings To Shark Attacks. There’s Just One Problem. Gun control activist David Hogg, who survived the Parkland, FL school shooting earlier this year, attempted to make a profound statement about shootings by comparing them to shark attacks. “Imagine saying the only way to stop shark attacks is with more sharks,” Hogg tweeted. On its face, this makes a little sense. Why would you release more sharks hoping to stop sharks from attacking people? But if you think about it for more than a second, you can see how the argument falls apart. Sharks are the guns, in this analogy, so let’s look at this from a gun rights and gun control view. For gun-rights activists, the idea that a good guy with a gun can stop a bad guy with a gun is a prevalent talking point. In Hogg’s analogy, that would mean finding good sharks to stop the bad sharks. If we could train sharks like that, well, that would be awesome. If we took Hogg’s analogy to its logical conclusion for gun-control activists, the picture gets pretty silly. It also illustrates the problems with gun-control arguments. Banning sharks, as many activists want for guns, would mean killing sharks or – gasp – building a wall to keep them out of our waters. Putting severe restrictions on sharks wouldn’t work either, as sharks aren’t going to listen. Maybe we could put up signs that say “Shark-Free Zone,” to keep the sharks from being around people. Maybe we could do background checks on sharks to see which ones have committed shark crimes previously and keep only them away from our shores. Maybe we could pass laws against shark attacks, and then pass more laws against shark attacks if they don’t stop. 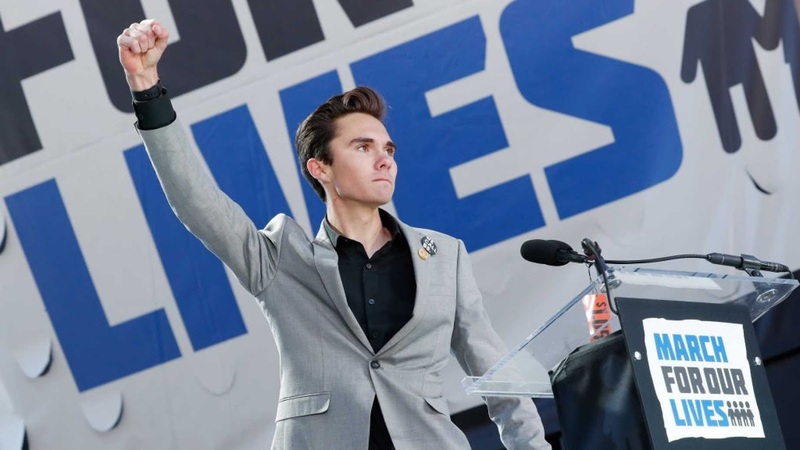 Hogg isn’t unique in his attempts to promote gun control through various, silly means. After each shooting, gun-control activists demand more laws to stop future attacks — laws that wouldn’t have stopped the attacks that just happened. And they assume that people intent on murder — which is already against the law — would stop because of some new law on guns. Activists defeat their own arguments when they make simplistic, absurd arguments.